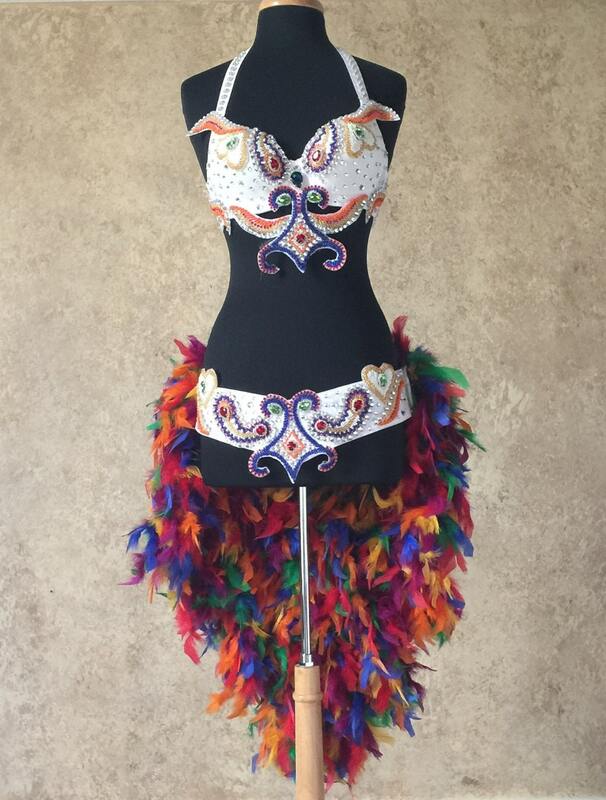 New 2 piece custom showgirl costume. 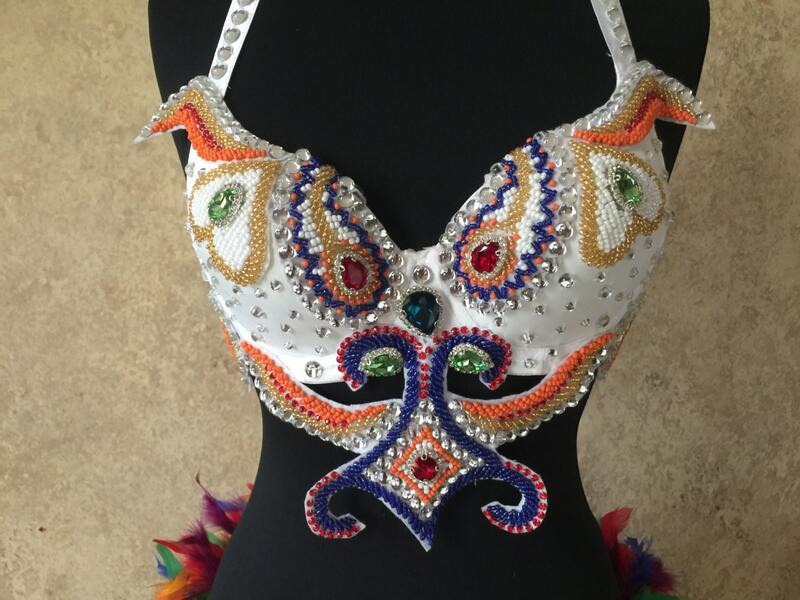 Beaded, rhinestone, and sequin bra top and matching bottom with rhinstone accents and large crystals. 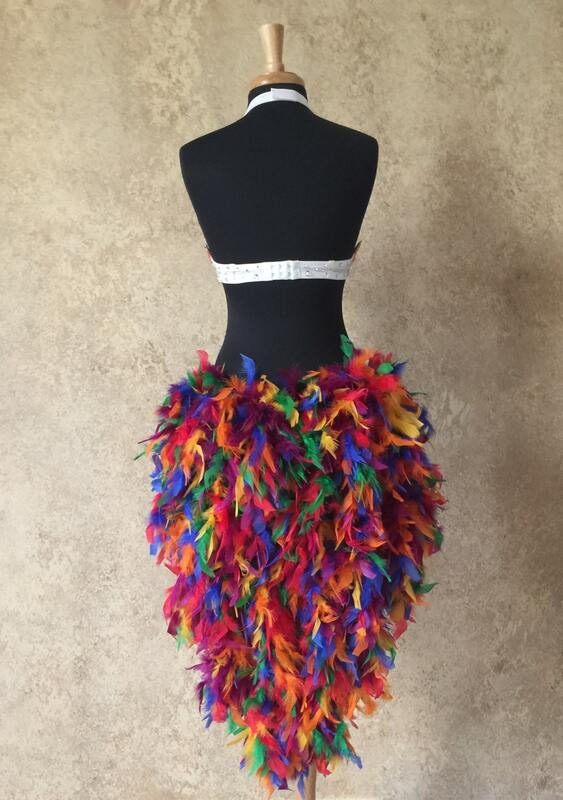 Heavy weight rainbow mix feather train. Easy on off velcro closure bottom. Top is halter style with adjustable hook and eye back. Sizes are in USA sizing. Cups larger than D not recommended. 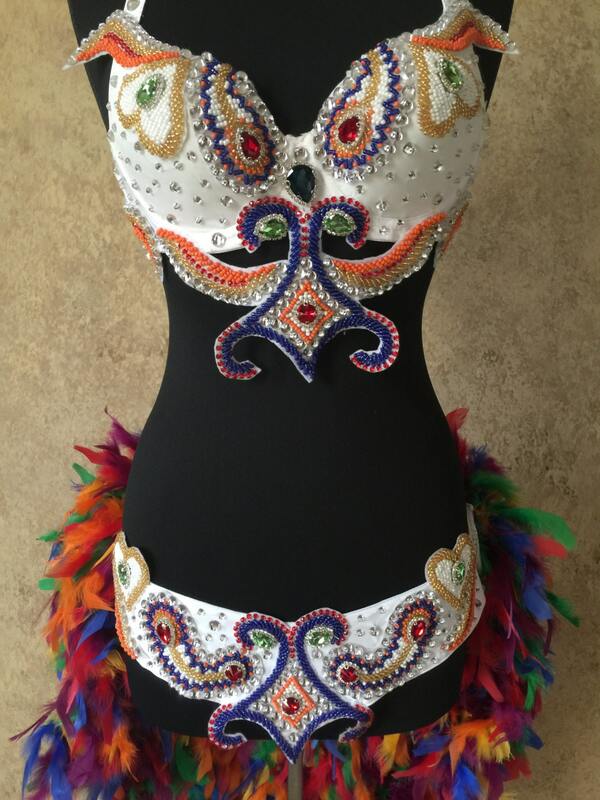 I have been in business since 1999 designing custom made costumes with over 20 years sewing experience. I sell to several costume shops around the world and have won several design awards for my designs. My costumes have been featured in many Vegas Casinos, Canadian Casinos, and theater events. I do offer options to have your very own design made. Please contact me with your requests. Please note there may be production times before you order is shipped. Please select shipping speed at check out. Weekends are not business days for shipping so please keep that in mind when selecting your shipping time. If purchasing multiple items please contact me for a shipping quote. It may actually be less than the combined shipping calculated by Etsy. INTERNATIONAL bidders, I do ship World Wide! You may be responsible to pay a duty if your country requires it on imported items. All costumes designs are copyright Fantasy Masquerades/Denim & Diamonds 1999-2016.